Bettelheim, Bruno. The Uses of Enchantment: The Meaning and Importance of Fairy Tales. New York: Knopf, 1976. Campbell, Joseph. The Hero with a Thousand Faces. Princeton: Princeton University Press, 1968. Crossly-Holland, Kevin. Norse Myths. New York: Pantheon, 1980. Davidson, H. R. Ellis. Gods and Myths of Northern Europe. London: Penguin Books, 1964. Dumézil, Georges. Gods of the Ancient Northmen. Berkeley: University of California Press, 1973. ________. Loki. Berkeley: University of California Press, 1959. Eliade, Mircea. From Primitives to Zen: A Sourcebook of the History of Religions. San Francisco: Harper & Row, 1967. Frazer, Sir James G. The Golden Bough: A Study in Magic and Religion, abridged and edited by Robert Fraser. New York: Oxford University Press, 1994. Green, M. J. Dictionary of Celtic Myth and Legend. New York: Thames and Hudson, 1992. Guirand, F., ed. New Larousse Encyclopedia of Mythology. New York: Prometheus Press, 1968. Ions, V. Indian Mythology. London: Hamlyn, 1967. Loomis, R. S. Celtic Myth and Arthurian Romance. New York: Haskell House, 1967. MacCana, Proinsias. Celtic Mythology. London: Hamlyn, 1970. MacDonell, Arthur A. A History of Sanskrit Literature. London: Appleton, 1929. Nivedita, and A. K. Coomaraswamy. Myths of the Hindus and Buddhists. New York: H. Holt, 1914. O’Flaherty, Wendy Doniger. “Sita and Helen, Ahayal and Alcmena: A Comparative Study,” History of Religions 37 (1997): 21–29. Orchard, Andy. Dictionary of Norse Myth and Legend. London: Cassell, 1997. Propp, Vladimir. The Morphology of the Folktale. Louis A. Wagner, ed. ; Laurence Scott, trans. Austin: University of Texas Press, 1968. Rank, Otto. The Myth of the Birth of the Hero. New York: Knopf, 1959. Simha, S. L. N. Ramayana for the Modern World. Bombay: Bharatiya Vidya Bhavan, 1965. Sturleson, Snorri. The Prose Edda: Tales from Norse Mythology. Jean I. Young, trans. Berkeley: University of California Press, 1954. Thomas, P. Epics, Myths, and Legends of India; A Comprehensive Survey of the Sacred Lore of the Hindus, Buddhists, and Jains. Bombay: D. B. Taraporevala Sons, 1973. 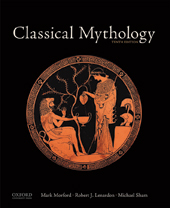 Thury, Eva M., and Devinney, Margaret K. Introduction to Mythology: Contemporary Approaches to Classical and World Myths. New York: Oxford University Press, 2005. Wolpert, Stanley. A New History of India. New York: Oxford University Press, 1993.